Several current works by students of the mdw’s Film Academy Vienna feature children as their protagonists. 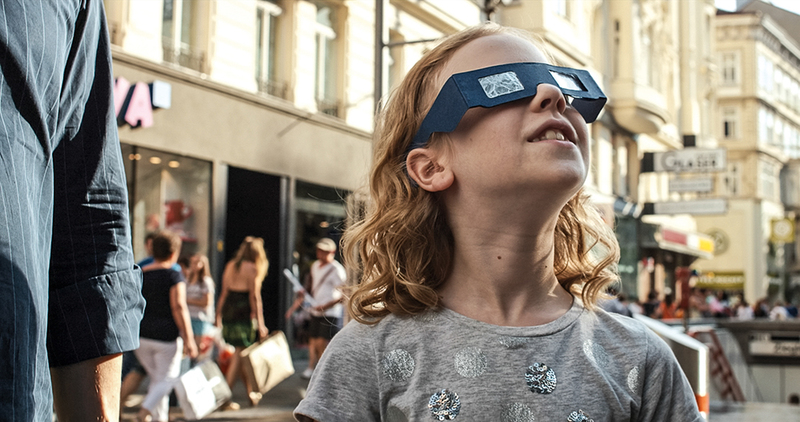 In Jan Prazak’s short film Die Bewegung der Sterne, Lena—now ten years old—plays a girl who wants to experience a solar eclipse together with her father. A sudden occurrence cuts their plans short, and they have to escape to a safe location where they then experience a magical moment. In order to find someone suitable for the role, Jan Prazak posted audition invitations and distributed flyers at schools and in places where children’s dance and theatre groups rehearse, and 200 children eventually responded. He succeeded in eventually finding the suitable child by doing a variety of exercises with them where they’d try to portray different kinds of emotions. “Imagine you break down in laughter—how does your body feel? Or how do you feel in your body when you’re afraid?” recalls Jan Prazak. Such exercises made it easier for him to develop a rapport with Lena, his eventual lead. “She told me that fear feels like stones in her tummy, which meant that when we filmed, I could ask her to imagine the stones,” explains the young director. 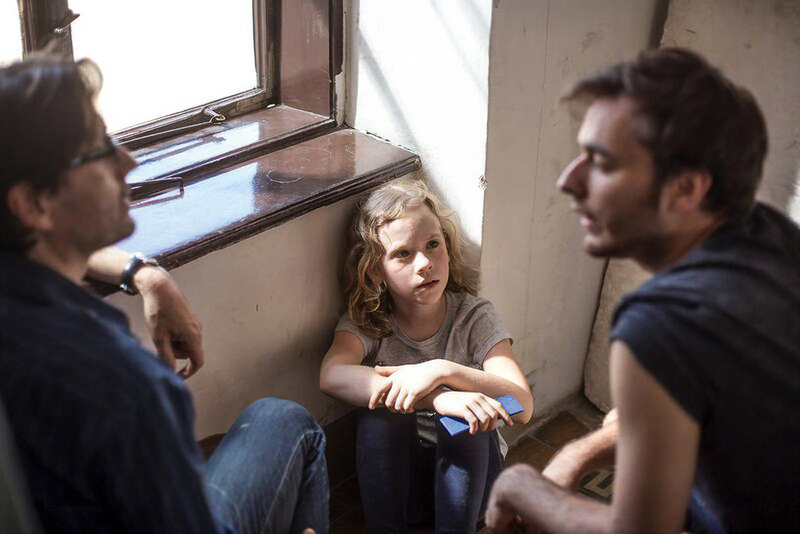 In preparing to film, it was important to build trust between professional actor Ulrich Reinthaler, who played the father and the child actor so that they could play the roles of father and daughter in a credible way. Several meetings and outings that included Lena and her parents, Reinthaler, and Prazak himself helped make sure they all got to know each other very well before filming commenced. It was likewise especially important to directing student Julia Zborowska that the adult lead in her short film spend as much time as possible beforehand getting acquainted with the girl opposite whom she was going to appear on-screen. In visually intense scenes filmed in a Polish forest, Zbrowska portrays the state of a young girl at the threshold of womanhood. Together with her mother—her father has already passed away—this girl lives in a house by the woods, through which she takes frequent walks and encounters her (fictitious) friend. Before filming, the production team did quite a bit to help the young actor—eleven-year-old Agnieszka, who had no acting experience—overcome her own shyness. “The most important thing in working with children is the time you spend with them. It doesn’t matter what exactly you do together; the time you spend counts as love, love that you’re giving,” says Julia Zborowska. For the mother, Zborowska was dead set on casting an actor who was herself the mother of an eleven-year-old daughter. And in Ilona Ostrowska, she found just such a person. “What’s important is the person opposite whom the child will be acting; the director is less important,” she says. “The director is kind of like the father of it all: if the right “playmates” for the child can be found, then what happens on camera will seem natural.” In keeping with this, it wasn’t the director who helped the girl learn her lines. Instead, Ilona Ostrowska spent time playfully studying with her, with none of the pressure that might have emanated from the directorial level. Julian Zborowska found her young girl actor by chance—during Mass at a Polish church. Having searched for girls who would be suitable for the film in schools located near her filming location, she’d actually already found someone. But when she saw Agnieszka in the church, it was immediately clear to her that only this girl could play the role. The girl’s parents ultimately agreed to allow the film team to film with their daughter for a whole week—out in the woods, without any contact with them. “I had Agnieszka so convinced that she absolutely wanted to do the film, and her parents also had a trusting relationship with her,” recalls Julia Zborowska. 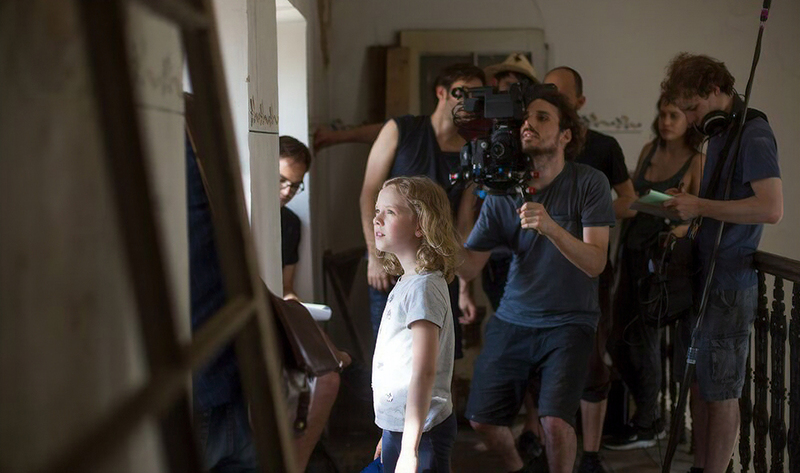 Of the over one thousand children who were invited to the audition, Film Academy graduate Luz Olivares Capelle cast three eightyear-old girls for the roles in her film Wald der Echos. “Although these three turned out to be very different from one another as actors, I had a good feeling with them; it was a kind of magic,” says the young director, who graduated from her studies at the mdw in 2015. In Wald der Echos, which was chosen as Best Short Film at the 2016 Diagonale Festival and won the Austrian Film Prize in the Short Feature Film category in 2017, the three girls are playing by the water in a forest when they discover the dead body of a young woman. The boundaries between reality and dream begin to blur, here, with the young woman disappearing and then suddenly reappearing, and seeming alive in one moment and dead the next. So that the girls wouldn’t be frightened during the filming work—which, after all, did involve spooky scenes with the corpse in the water—Luz Olivares Capelle made sure that the girls didn’t know the story and instead regarded the whole thing as a game rather than as acting. “I thought up lots of strategies that would help to keep this process within the world of play, where it would produce positive memories,” the director explains. She worked on the scenes with the children by thinking up stories. “The corpse became a mermaid who’d gotten lost and magically grown legs. So perhaps she was just sleeping and we were supposed to help her,” she says in description of the stories. The film shoot also held some physical challenges in store for the girls like spending time in the water after dark or getting totally covered in mud. “As far as the actual film shoot went, it was important to me to work together and communicate with the parents. The screenplay, which the kids didn’t know, was gone over beforehand with the parents so that they’d understand just what their kids would be doing there,” she explains. The shoot itself took place during summer holidays and included plenty of breaks for the girls. “It was important to me that they not be impacted by the stress present on set. For them, it was set up as a kind of summer camp,” says Luz Olivares Capelle about the conditions under which the kids worked. The director has been able to use the experience this film gave her in working with children in her current work performing me?(! ), in which—alongside adult actors—she once again has kids in front of the camera. “It’s interesting with children, because you can’t really have control over them. So when you work together with them, you learn that filmmaking means working on yourself and gaining control over yourself, not the other way around,” is how Julia Zborowska sums up her impressions. Again and again, children’s authenticity astounds and delights. The success of films like the ones here depends on how well the child roles are cast, and for a director, finding child actors is often a matter of luck in which they have to rely on their intuition. Actually making films with children is a matter of trust—not just in the children themselves but also in their parents. Finally, the adult actors who will be on set need to build up trusting relationships with the child actors before filming begins. And if all this succeeds, the child doesn’t act but rather delivers moments possessed of an authenticity that the audience can keenly sense.